All the major operating systems support external hard drives; this is one of the most useful pieces of equipment that any OS can support. 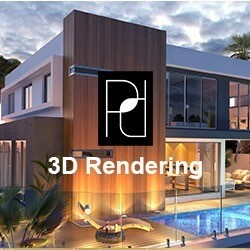 Being a very popular and reliable operating system, Mac OS also provides support for external HD. You simply need to connect it via USB and you also have the option of using it as an internal hard drive. Mac users use an external hard drive to store all their important files as a data backup, or they can simply create a separate partition for any operating system. However, any type of corruption can make your important data inaccessible and then you have to go through the process of repairing Mac drive or partition. Just like an internal hard drive, external drive is not completely safe against corruption. Often Mac users don’t know the cause of partition corruption, but any kind of partition error may lead to data loss on the drive. When you are running external hard drive and at the same time you’re browsing the Internet, the possibility of malware attack on the external hard drive is high as well. If the internal hard drive is damaged, then this may also cause external hard drive failure. Other causes of damaged partition tables in Mac Operating System include incorrect manipulation, hardware problems, false-operation, etc. If you happen to have a damaged partition, when you connect the hard drive to the Mac OS, you get this error message: ‘Disk Utility can’t repair this drive. Back up as many of your files as possible, reformat the drive, and restore your backed-up files‘. You could copy the files into another drive using the help of cloning utility, but this may also result in errors. Therefore it is better to recover data from inaccessible files. There are plenty of inbuilt utilities that can help you repair Mac drives and partitions. You can also create a backup of your external drive with Time Machine so that you can run it on another system. However, there is also a big risk of corruption as it may take backup of corrupt files. This may also be a risky option in terms of system security. It’s always better to repair it and make it readable. Note: Usually hard drive repair in the Mac OS does not cause any new problems. The risk here is that after attempting to repair the drive, it may become unusable. So, it is better to create a complete data backup before you go for the repairing process. There are many professional Mac Volume Repair tools available online that are reliable and can fix corrupt Mac disk drives. 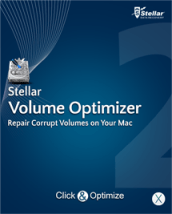 One such utility is Stellar Volume Optimizer Software. This tool helps you repair Mac drive and partition whether the disk is an internal or external device.